♥ NOTE: White, platinum blonde, and gray hair may require additional applications for darkest color. Many people get great results after the initial application, others require up to 3 color treatments. Consider: Gray Hair is actually translucent, with no to slight pigment; your starting canvas is very light. And gray hair is structurally a little different than your colored hair. It has less natural oils, flexibility, and follicle depth. 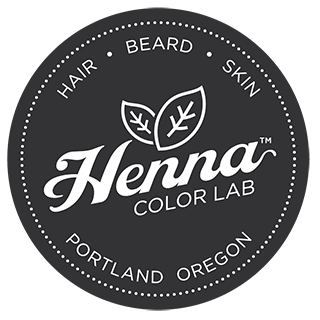 So pigment retention (for All hair dye products) can be a little stubborn—henna has historically always worked super great. Additional applications build on top of themselves & will darken—naturally. And it’s completely Safe & Natural. You can color as often as you like—even back-to-back. Guys: Gray facial hair is very coarse & translucent too. It will color…just be sure your whiskers are SUPER Clean. No food or lip balm or moisturizer residue. Wash, Dry, & Immediately Apply. • Full Head Gray & Silver Foxes: Simply follow the below and understand the above. • Have Gray Roots? or Require Root Touch-Ups Only? See Root Application Section Below. Use quart size mixing bowl per full packet(3.5 oz/100 g) and a spoon to mix.